26 people were killed at First Baptist Church in rural Sutherland Springs, Texas, authorities said. The shooter fled and was pursued by a resident and police but was found dead after running his car off the road. Law enforcement officials identified the alleged gunman as Devin Patrick Kelley, 26, of neighboring Comal County, Texas. Kelley was court-martialed in 2012 on two charges of assaulting his spouse and their child, a U.S. Air Force spokeswoman confirmed. He was confined for a year, reduced in rank to airman basic E-1 and given a bad conduct discharge in 2014. 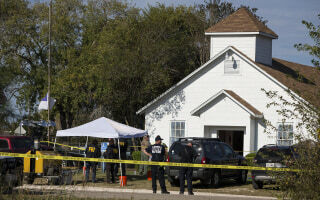 A gunman opened fire in a Texas church on Sunday, killing over two dozen parishioners. The small town of Sutherland Springs is grieving after what is now the deadliest mass shooting in the state's history. The Air Force court-martialed the man suspected of killing 26 people at a Texas church. Authorities were investigating whether he had ties to a militia. Gunman Devin Patrick Kelley, 26, who was found dead in a vehicle after the mass shooting, died from a self-inflicted gunshot wound. Sheriff's deputies didn't pursue a sexual assault investigation against the gunman in a mass shooting at a Texas church. The assault was reported in 2013. These tips could help save your life. Ryland Ward went home after nearly three months in the hospital for injuries he sustained in the Texas church massacre. His ride home was in a fire truck, thanks to the man who carried him to safety after the shooting. The notice of claim alleges that "institutional failures" by the Air Force and Pentagon directly led to deaths of 26 at a church in Sutherland Springs, Texas. Pastor Frank Pomeroy remains thankful despite the horror that killed 26 members of his congregation, including his own daughter. Members of First Baptist Church of Sutherland Springs, Texas, gathered as a congregation for the first time since 26 fellow parishioners were killed. After the Air Force failed to flag a conviction that would have prevented Devin Kelley from buying the rifle he used in the Texas church shooting, the Department of Defense says it’s reviewing how the military reports information to federal databases. Members of the First Baptist Church of Sutherland Springs, Texas, gathered as a congregation Sunday to remember the 26 people killed just one week earlier. Texas' decision to include the unborn child in the final tally wouldn't be uncommon nationwide — although it opens up larger legal questions. Tessa Brennaman said she lived in fear of ex-husband Devin Kelley, who killed 26 people in a Texas church last week and was found guilty in 2012 for beating her and fracturing her baby’s skull. Peggy Lynn Warden, 56, was among the 26 victims of the massacre at the First Baptist Church on Sunday. Her brother said she used her body to shield her grandson. Rebecca Metcalf lost her father when gunman Devin Patrick Kelley opened fire inside the First Baptist Church in Sutherland Springs, Texas. Her mother and 6-year-old niece were also wounded in the massacre. She discusses the impact of this tragedy on her family. 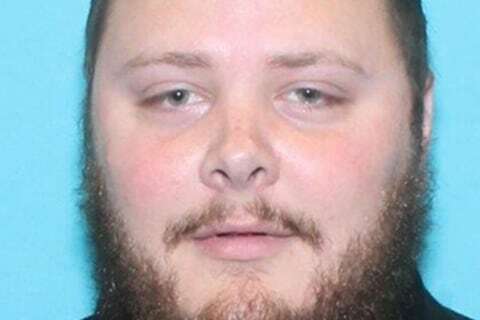 Heather Wilson, the civilian secretary of the Air Force, said the military is trying to figure out why Devin Kelley's domestic violence offense wasn't reported. The pastor of the Texas church where 26 were killed wants to tear down the bullet-ridden building and start over. As residents in Sutherland Springs start the healing process, authorities have learned that five days before the shooting, the gunman brought his children to the church where he’d carry out the massacre. 26 people were killed in a shooting at First Baptist Church in Sutherland Springs, Texas, including an unborn child. These are their names. The victims of Sunday's Sutherland Springs massacre ranged from just 18 months old to 77. Here is what we know about them. The tragedy in Sutherland Springs on Sunday has been a bitter reminder for first responders about the challenges they can face. A witness told police officers that Devin Kelley "was a danger to himself and others." 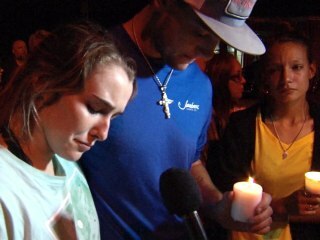 As the nation mourns the loss of 26 lives after a deadly church shooting in Texas, one family unimaginable devastation after losing eight family members in the tragedy. KETK's Cara Prichard reports. The Southern Baptist Convention has offered to pay the funeral expenses for all 26 victims of Sunday's shooting at First Baptist church of Sutherland Springs. Rosanne Solis says she could see the gunman’s shoes walking through the church as she hid, bleeding from her shoulder after she was hit by a bullet. Two of the deadliest mass public shootings in American history have taken place in just over a month. Robert and Fran Marshall mourn the loss of their son and his wife, Scottie and Karen Marshall, who were among the 26 killed in the Texas Church Shooting. WPXI's David Johnson reports. Three prominent senators excoriated the U.S. Air Force on Tuesday for its failure to report a military conviction of the Texas gunman who massacred 26 parishioners on Sunday and called for a comprehensive probe to determine if the military is compliant with the law in reporting convictions. Gun control advocates say Trump's incorrect claim that Chicago has the 'strongest gun laws' in the U.S. actually shows it could benefit from tighter rules. Texans remember the 26 victims killed at the First Baptist Church in Sutherland Springs, the deadliest mass shooting in the state's history. Texas church shooter Devin Patrick Kelley had threatened his mother-in-law, who attended First Baptist Church in Sutherland Springs, authorities said. Five-year-old Ryland Ward was hit five times in the Sutherland Springs church shooting. He lost two sisters and his stepmother and is still fighting for his life. Rosanne Solis, a survivor from the Texas Church Shooting talks about what she witnessed, specifically how she believes shots were fired from the roof of the church. President Donald Trump dismissed questions Tuesday about if he'd pursue the same kind of "extreme vetting" for would-be gun owners. At a news conference in Seoul, South Korea, NBC News' Ali Vitali asked the president if he had considered “extreme vetting” for people wanting to buy guns. 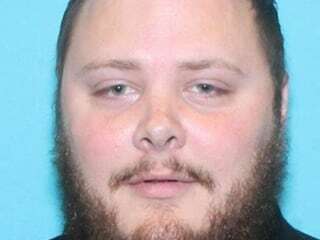 Devin Kelley's domestic violence convictions weren't entered into a national database that could have prevented him from possessing firearms, the Air Force said Monday. Texas authorities provided updates on the investigation into Sunday's deadly church shooting. Among the new details were results of the shooter's autopsy and details of the ammunition he brought to the crime scene. 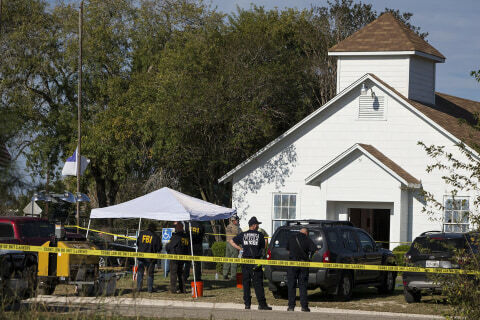 Sutherland Springs, Texas reeled at the death of 26 people Sunday in a Baptist church. People in the tiny town said they were shocked but getting by. Some of the children were members of a family in which three generations — eight members of their extended family, plus an unborn child — were all killed. Dubious news sites and social media users misidentified Sunday's shooter as a militant anti-fascist and a U.S. marine who converted to Islam, among other falsehoods. 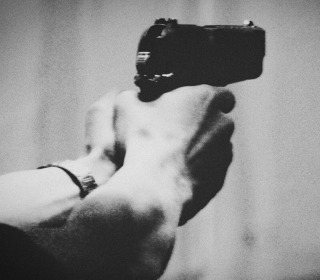 A Texas official said more armed churchgoers can help prevent future massacres. Experts say there's no evidence of that — but they'd like to research it. If Trump's Blaming Mental Health, Why Did He Gut This Obama Gun-Check Rule? Gun control advocates slammed Trump as a “hypocrite,” after he called the mass shooting Texas over the weekend “a mental health problem." 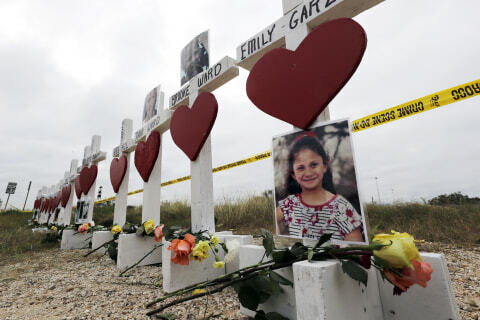 NBC's Gabe Gutierrez speaks with Debbie Bolf, a friend of the Holcombe family who lost eight family members when a gun open fired in a Texas church. Sherri Pomeroy, the wife of Sutherland Springs pastor Frank Pomeroy, remembers their daughter Annabelle who was one of 26 victims killed when a gunman opened fire inside their Texas church. Did The Texas Shooter Get His Gun Legally? NBC News' Pete Williams examines how the man who attacked the Texas church could have obtained his gun. He also provided an update on the number of people who died in the shooting. 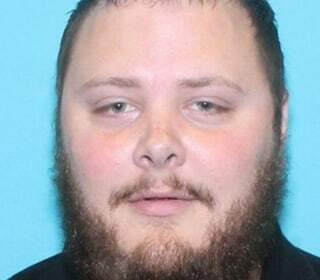 Martin of the Texas Department of Public Safety says Devin Patrick Kelley, the man who opened fire at First Baptist Church in Sutherland Springs, Texas, and killed 26 people, was involved with a domestic situation in the days leading up to the massacre. Johnnie Lagendorff was passing First Baptist Church of Sutherland Springs when he saw two men exchanging gunfire. He pulled over to stop Devin Kelley's spree. President Donald Trump said Monday the mass shooting at church in Texas "isn't a guns situation" but instead "a mental health problem at the highest level." Democrats renewed their calls for gun control, following the shooting at First Baptist Church in Sutherland Springs, Texas. Johnnie Langendorff pursued suspect Devin Kelley after hearing about the church shooting. Meanwhile Kelley's neighbors said they often heard gunfire at his property. While on his tour of Asia, President Trump responded to the bloody attack at a Texas church. Hours following the deadly Texas church shooting, Governor Greg Abbott and other officials briefed the press on what they knew. Abbott offered condolences to the victims' families, while authorities issued a rough timeline of the attack. Hours after over two dozen parishioners were shot inside a Texas church, the grandmother of multiple victims tells her story. Sutherland Springs is home to a post office, two gas stations, a Dollar General store and now one of the deadliest mass shootings in U.S. history. 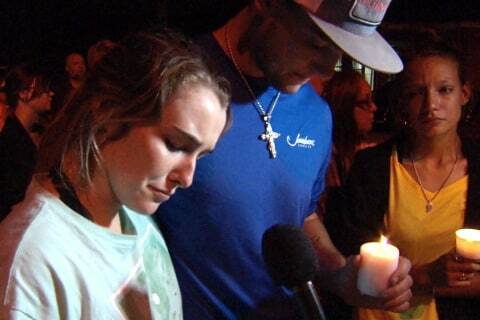 Violence like the killings of 26 people at a church in Texas has targeted nearly every faith. At least two dozen parishioners were killed when a gunman opened fire at a church in Sutherland Springs, Texas. The shooter is also dead. Victims are being treated at nearby hospitals. Authorities are reporting that multiple people have died, including the shooter. More details surrounding the event are still being investigated.